Allef Rodrigues is a right footer just as 82% of Vitoria Setubal. Having been born in 1994, on November 04, Allef Rodrigues' age of 24 makes him junior to the average player of Vitoria Setubal. Measuring 174cm, Vitoria Setubal's average player height succumbs Allef Rodrigues by 7cm. He is currently third in group Gr. 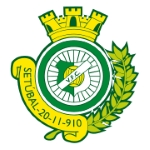 B of League Cup (Portugal) and 13th in Primeira Liga (Portugal) with his team Vitoria Setubal. He played seven matches this season. In July 2017, Portuguese forward Allef Rodrigues joined Vitoria Setubal (Portugal), whom he is still playing for. In his footballer career, a total of two cards were ascribed to Allef Rodrigues. While thus obtaining an average of 0.5 cards per term, he has not even gotten any yet, for now. He weighs 72kg which is 2kg less than his team's average heftiness. Altogether, he was substituted in 12 times and out not once. Currently, he entered the pit more than he left it which holds true for last season as well. Obviously, Allef Rodrigues had a couple of bad seasons. In Primeira Liga 18/19 he had difficulties with multiple penalties and reaching his average goal quota,. From his professional start until now, he has performed in twelve matches in total and hindermost appeared seven days ago. The current League Cup 18/19 (Portugal) term proves to be good for Allef Rodrigues, as he managed to score once (0.14 per match) and provide an assist not once. Basically, 25% of Vitoria Setubal's goals in League Cup 18/19 were caused by him. His jersey displays the number 33. Vitoria Setubal is his first professional club he has played for. Besides Allef Rodrigues, there are seven more forwards in Vitoria Setubal's lot: Frederic Mendy, Hildeberto Pereira, Alex, Zequinha, Victor Veloso, Jhonder Cadiz and Valdu Te. So far this season, he lost 67% in League Cup and tied 50% of Vitoria Setubal's matches in Primeira Liga. They also managed to win 2 fixtures in a row in Primeira Liga.